About 45 kilometres south west of Santa Cruz de la Sierra lies the gorgeous tropical jungle area of Los Espejillos offering natural and scenic beauty. 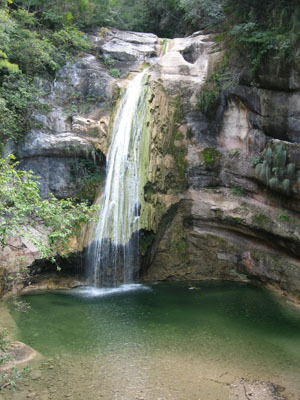 Here you will find a series of natural waterfalls and pools of crystalline water in which visitors can splash and swim. 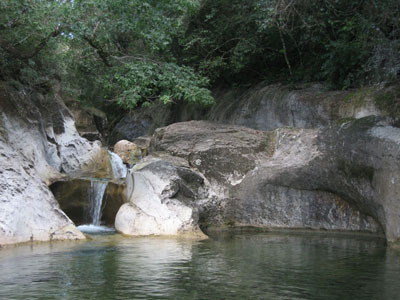 Seventeen delightful pools lie along the river that flows through Espejillos. Several natural twists and turns have carved out clear and impressive waterfalls (the largest of which falls for 20 meters). 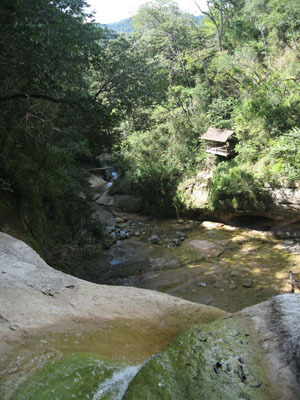 Espejillos is one of the entrances into the Amboró National Park, which contains a huge diversity of fauna and flora. Jaguar, tapir, parrots, the Manechi monkey, are just a few of the species found here. The tropical forest counts with trees of more than 25 metres of altitude, which give life to epiphytic plants like orchids. 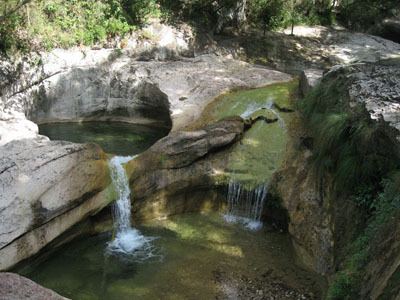 This is a gorgeous place perfect for relaxing in nature, taking a refreshing dip, or playing games. To get to Espejillos take the old road to Cochabama, passing the municipality of La Guardia, and about four kilometers further one at Km. 26 you will reach the village of San José, where you must turn right and cross the Piraí river (something that can only be done in the dry season, between April and November). Follow a dirt road on the other side of the river for another eightteen kilometers - here a four wheel drive vehicle is strongly recommended. On the way you will pass through the community of Tacuaracu, which has just recently built some cabins where you can stay the night by paying 20 bolivianos per person. The Espejillos community has built a camping ground with showers, a pahuichi, and with several stalls where women from the community sell food and soft drinks on the weekends, when the place gets more crowded. Some members of the community have build individually some basic shelters, each of them normally offers two very simple rooms, built in tropical arquitecture with high jatata palm roofs and windows made of mosquito nets; the bathrooms are really really basic. The Hotel Espejillos, is located within the Espejillos community (see accommodation section) and which offers more comfortable accommodation to whom would like to stay the night in this natural environment. For information about tours to the "Espejillos", please visit our tours section.